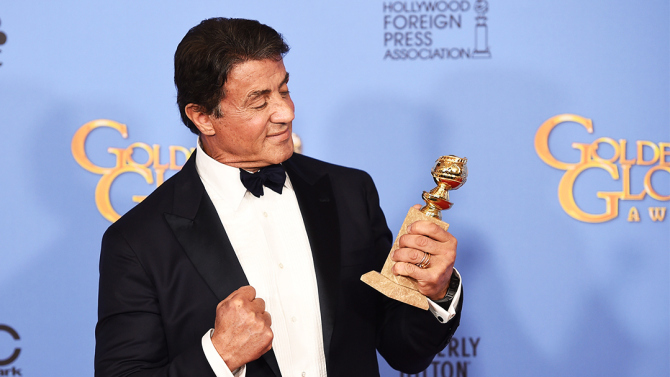 Congratulations to Sylvester Stallone on his win for Best Supporting Actor at the 2016 Golden Globes. I have to say it was definitely well deserved. Despite the flack he had been getting over the years, as well as one of the most nominated actors when it came to the Razzie Awards, it is about time, he is recognised for the talent that he possesses. As a lifelong fan of Stallone and all his work, I am just ecstatic that people are being awoken to his talent that die-hard fans have been believing in for such a long time. 'Creed' was at the top of my list for my top 10 films of 2015, and for good reason. After all these years Stallone can still put on that fedora, and walk the streets of Philadelphia and become that underdog that was given that one shot to prove what he is made of. Stallone has proved time and time again, that he is worthy of recognition, not just with his acting, but his directing, writing and of course his painting. And congratulations must be given again to Stallone, as he has been nominated for an Academy Award. It doesn't matter if he doesn't win, because in my eyes he has already won.